One year ago, we revealed a new strategy we and the most successful bloggers we knew were using to get up to 30% of blog traffic to opt into their email lists: the content upgrade. A content upgrade is a lead magnet (also known as an “opt-in bribe”) created specifically to be given away as a free download on an individual blog post in exchange for a visitor’s email address. It “upgrades” your post by offering additional information or simply presenting the post topic in a different way. Since then, we’ve seen tons of bloggers pick up this strategy and run with it, to great success. Which makes a lot of sense when you think about it: you couldn’t ask for a hotter lead than someone who’s already immersed in your content. Offering an upgrade to that content is a natural way to extend the conversation and deepen the relationship between you and your reader. What better reason for them to join your email list than the promise of getting even more of what they came to your site for? When people first hear about content upgrades, they often wonder: how can I create something like this for my blog? If you’re at a loss for ideas now, that’s definitely going to change by the end of this post. We’re going to look at 12 ultra-engaging content upgrades that have popped up in the year since we debuted this tactic on the blog. Get the Guide: "25 Content Upgrades to Build Your Blog"
Before we pore over these examples, I should address another question that frequently comes up: once I’ve created a content upgrade, how do I get it into the hands of my readers? That one’s easy: you use a LeadBox™. LeadBoxes® are simple, super customizable opt-in forms you can add to any blog or website. Blog readers trigger them when they click a button, an image, a text link, or another page element of your choice. Once they enter their email address, they can automatically download the content upgrade from their email via the LeadPages® lead-magnet delivery system. Check out your membership options and lock in unlimited LeadBoxes® here. Ready for a major dose of blogging inspiration? Let’s take a peek at some excellent content upgrades. Why it works: Here Bryan Harris uses a style of content upgrade I like to call “the other half.” Bryan’s post is about a post-launch engagement sequence, and with his content upgrade he completes the other half of the picture: what happened before the launch. His LeadBox™ is the bridge between two related topics. 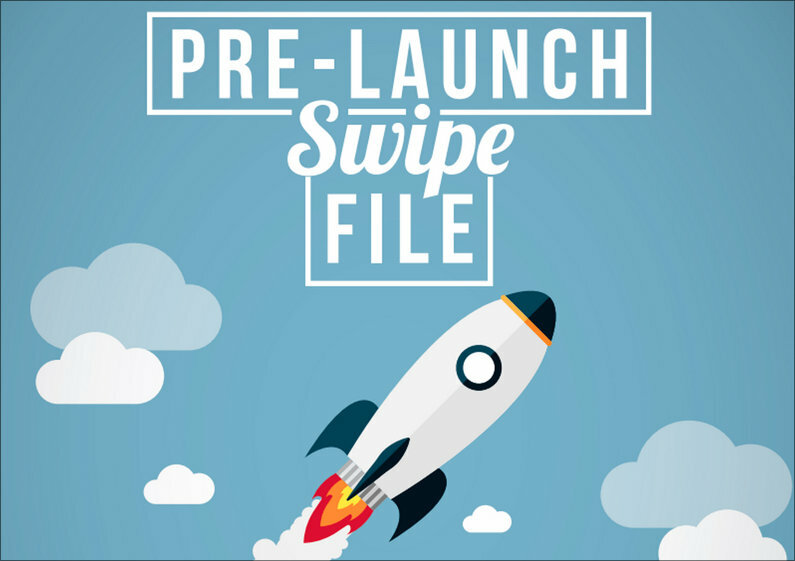 The swipe file is meaty, a three-part package that readers could potentially use for practical guidance right away. And yet a lead magnet like this doesn’t need to take long to create. By definition, a swipe file consists of work you’ve already done. Making it useful for readers could be as simple as typing up your notes, pulling together existing copy and images, and turning it into a PDF document. 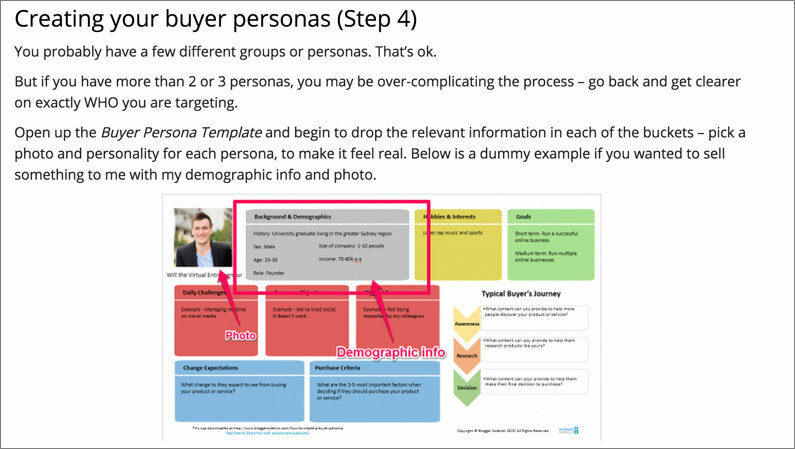 Why it works: This is another example of a highly useful but easy to create content upgrade. To create a checklist from a strategy-driven post, simply highlight all the actionable information in your post and present it concisely in checklist form so readers can track their progress through the process you’ve shared. You can leave it at that and still create something valuable. If you’re feeling more ambitious, take Brian’s PDF as a model. In addition to listing concrete steps with checkboxes, he provides lots of context for each step and other kinds of resources such as reference links and screenshots—and wraps the whole thing in appealing, colorful design. Just remember: there are lots of points in between a bare-bones to-do list and an example as polished as Brian’s. Find the spot on that spectrum that matches your skill set and plan your checklist accordingly. Why it works: Everyone’s probably had the experience of pausing a video to take notes, look something up, or simply figure out exactly what’s going on onscreen. As an upgrade to this video post, Pat Flynn lets viewers take things at their own pace by offering the slide deck seen (at much higher speed) in the video. It’s a ridiculously easy way to give blog readers something extra—after all, the slides already exist. And it’s an especially effective content upgrade for this post in particular. Since the topic is how to create great slide presentations, readers will be especially interested in closely studying how Pat created his. 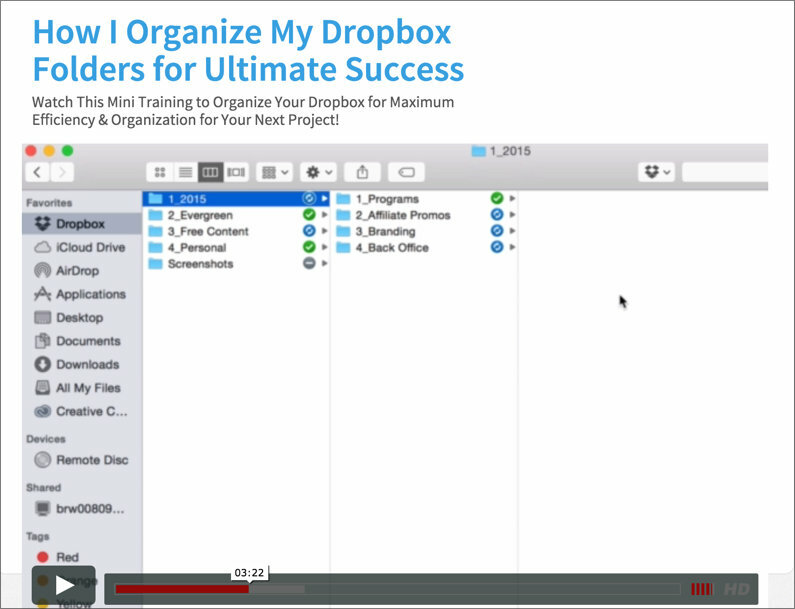 Why it works: It’s hard to truly grasp a new tech skill—like Amy’s method of project planning via Dropbox folders—until you actually see it done and can follow along yourself. In the post, Amy tells us about this strategy she’s discovered, and in the upgrade she lets us see it in action. Are there any little tech tricks that you’re always showing coworkers, friends, or family members? If you use those skills in your business or on your blog, consider whether they could add extra value to an action-oriented post and share them via screencast. Bonus: for this kind of video, you don’t even have to dress up for the camera. Why it works: I call this the “bigger picture” genre of content upgrade. It discusses the strategies in the blog post (how to use customer reviews in your e-commerce marketing) in the context of a larger topic (how to market your e-commerce store). If you don’t have time to create a new content upgrade for every post you write, aim to create “bigger picture” resources that give a broad view of a topic you write about frequently. Then you’ll be able to offer it as a lead magnet the next time the subject rolls around. You can even update it regularly and position it as a “new and expanded edition” each time you add a chapter or refresh your information. Why it works: There are some people who will automatically give a silent “tl;dr” to just about any piece of writing on the internet that uses paragraphs and requires more than a couple clicks of the scroll bar. That’s not the only group of visitors who can benefit from this kind of content upgrade, but it does give you a way to capture people who’ll never stick around to see the comments section. Along with anyone else who’s really serious about implementing your advice (who probably happen to be your hottest leads). You don’t need to overthink your writing in a worksheet like this—simply telling people exactly what to do can be the most helpful thing of all. 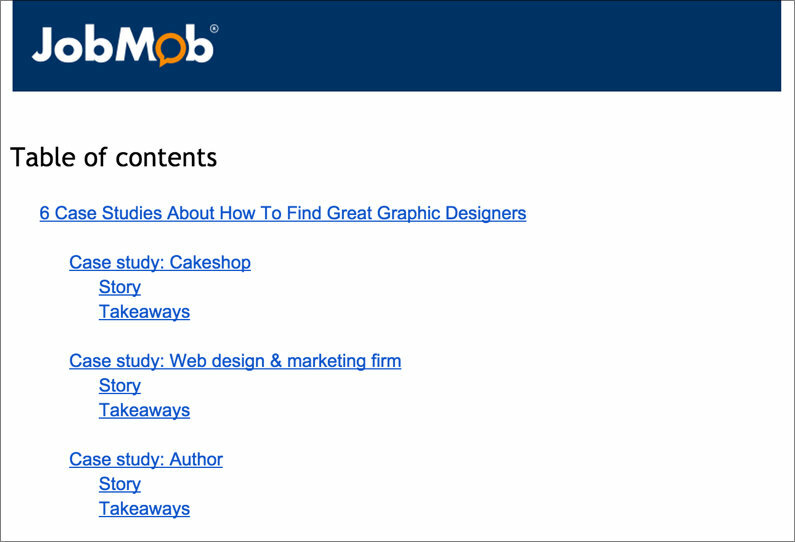 Why it works: This is a prime example of why it pays to take a modular approach to your content. 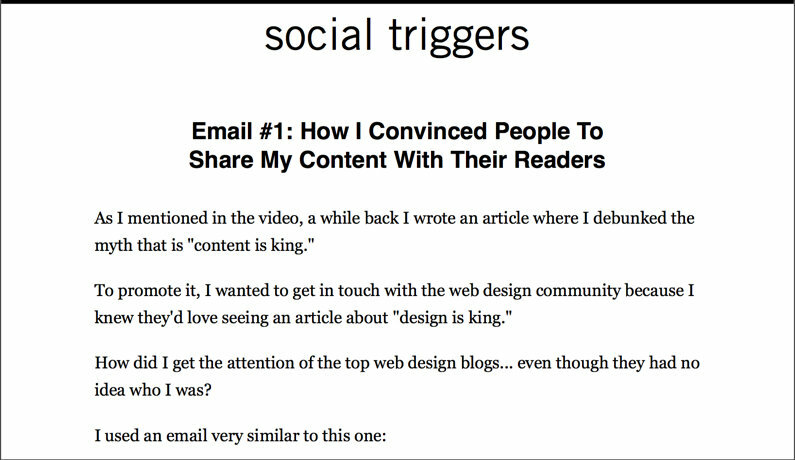 Derek could have easily followed this video-centric post with a full text explanation of his email strategy, but instead he realized he could pull out one valuable asset and use it as his content upgrade. And it’s a compelling one. When you’re about to try something new, there’s nothing quite as reassuring as working from a proven script. If you’re an artisan of email or a fearless initiator of phone calls, consider sharing the templates you use with your audience. Why it works: Sometimes, readers aren’t necessarily looking for more information at the end of a post. They’re looking for motivation. Without a lot of additional text or design work, you can create a planning sheet to help them put your advice into practice. 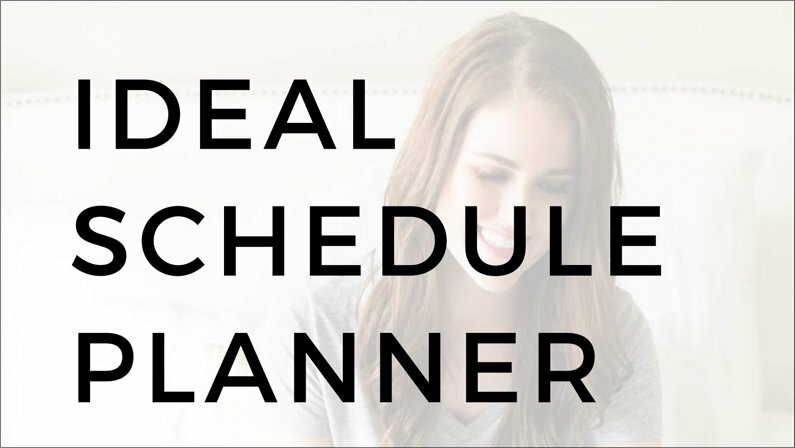 This content upgrade works especially well in this post because Megan explains how she herself uses this kind of schedule planner to map out her own busy days. If you’re at a point in your blogging career where you’ve attracted a regular audience, you probably have many readers who will enjoy getting a glimpse of your day-to-day life. Why it works: On a post about whether it’s worth adding graphic design to your job-search arsenal, Israeli career blogger Jacob Share adds authority and practical guidance to his opinions with a content upgrade featuring lots of real-world results. In the content upgrade, he consults a variety of people about their experience working with freelance designers and distills their stories into actionable tips. Aside from the novel content, I want to point out the novel form of this resource. Jacob delivers his content upgrade as a link to a view-only Google document. He’s able to add features such as graphics and a hyperlinked table of contents without having to master another publishing platform, host a new document somewhere, or even generate a PDF. Why it works: We’ve covered a few different kinds of worksheets already, but Will’s functions a little differently: it’s crucial to the strategy oitlined in the post. Will refers to filling it out repeatedly (as in the screenshot above), and while you could learn from the post without downloading the content upgrade, at some point you’d wonder: why am I making this hard on myself? Will posts screenshots of the worksheet along the way, but he’s canny about it: they’re large enough to show off the color and complexity, but too small to make out all the details. They function as a sort of amuse-bouche before the second course that’s served upon opt-in. Why it works: Lists like this can get a little bit meta: bloggers blogging about bloggers blogging about how to blog about . . . I think that’s because because business-minded bloggers are naturally the earliest adopters of new content marketing techniques—they have an eagle eye for strategies they can use and pass on to their audience. But I wouldn’t want to imply by omission that content upgrades can only work if you’re selling info products. They can generate leads for even the most tangible businesses, such as pet supplies. 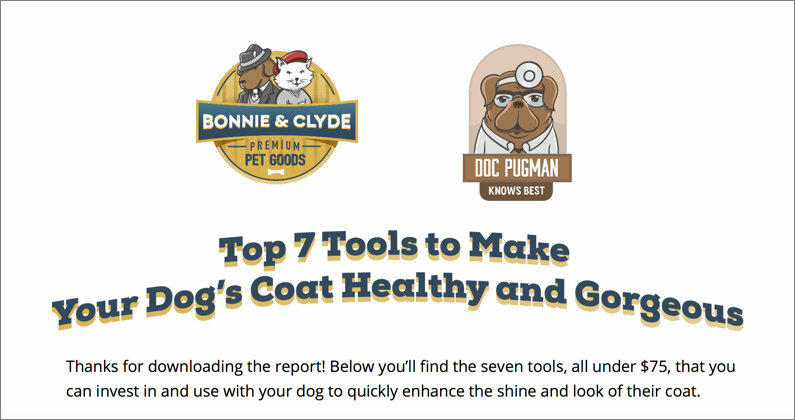 Bonnie & Clyde Premium Pet Goods educates dog owners on the canine immune system while discussing one of their products in this blog post, then uses a beautifully designed button and LeadBox™ to offer a list of 7 tools to make your pup even healthier and shinier. Both the post and the content upgrade keep an admirable balance between content and product promotion—you’ll come away knowing where you can get your puppy vitamins but also about many more resources that Bonnie & Clyde don’t sell. This strategy makes it likelier that new subscribers will keep returning for content. Why it works: Some kinds of blog posts may not seem to lend themselves to a content upgrade. What if you’re writing an op-ed? A review? A humor piece? 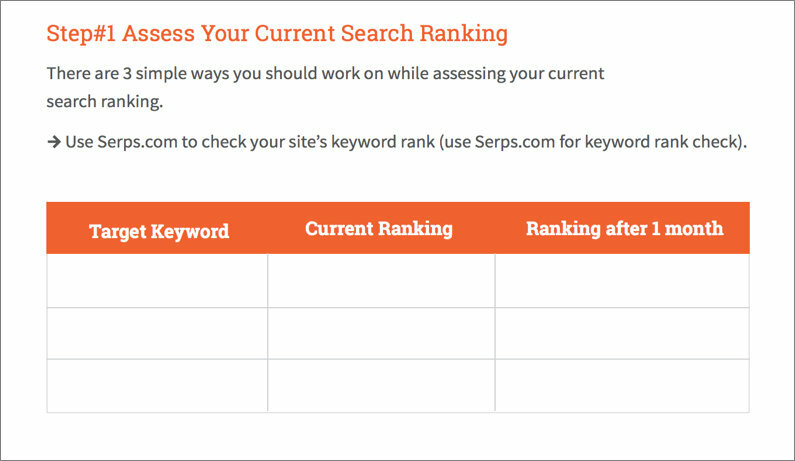 It may take a little more thought to find the perfect content-upgrade match for posts like these, but you may be surprised by the possibilities if you do a little brainstorming. 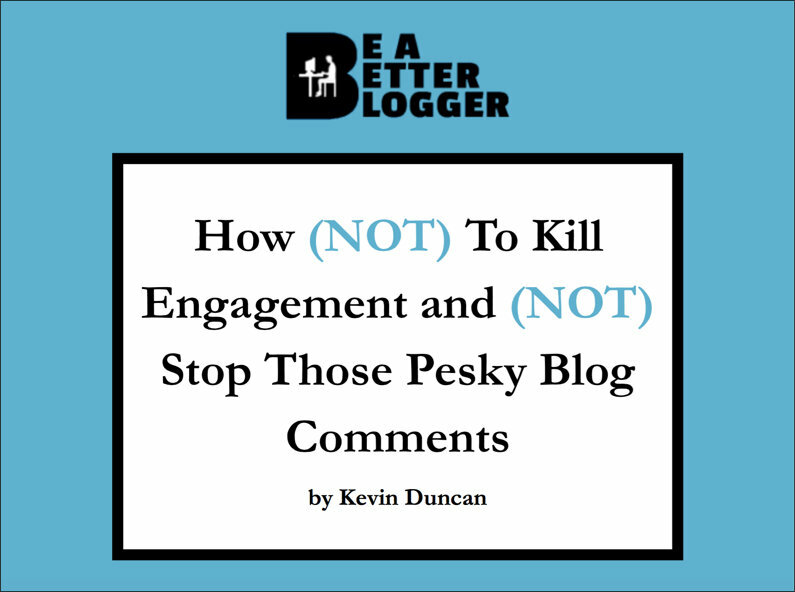 Take Kevin’s post for an example, based on the Opposite Day premise that bloggers hate getting comments and should try to prevent them by any means possible. The post is fun and may feel lightweight at first, but there’s plenty of serious advice tucked inside—which Kevin pulls out and repackages in his content upgrade. This PDF is the straight-faced version of his tips on engaging readers, though it maintains a consistently playful feel in its colorful images and snappy copy. Kevin’s approach is unique to his post (as the best content upgrades are), but you can adapt the strategy to other kinds of content. If your post consists of best practices, consider creating a content upgrade spelling out what not to do, or vice versa. Are you using content upgrades on your blog? What kind of content do you think makes for the most valuable lead magnets? Tell us in the comments!